Singapore has been abuzz with the news that youth national player Ben Davis recently signed a two-year deal with English soccer club Fulham, putting him closer to his dream of playing in the English Premier League (EPL). The news comes in the wake of a remarkable year in Singapore's sporting scene, which saw swimmer Joseph Schooling clinch the nation's first ever Olympic gold medal at the 2016 Rio de Janeiro games. Hoping that your child could have a shot at sporting glory while balancing it with their studies? 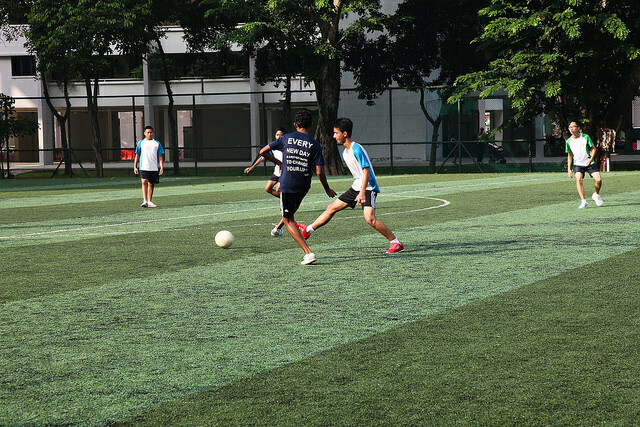 EdgeProp looks at 7 schools that have nurtured some of Singapore's best athletes and the available properties within 1 km of them. Ben Davis' alma mater, the Singapore Sports School is the first of its kind in Singapore, focused specially on developing student-athletes. It has trained other top local athletes including Olympic swimmer Tao Li and Olympic sprinter and hurdler Dipna Lim Prasad. The prestigious school at Dover is the alma mater of quite a few top athletes, including Joseph Schooling, who attended classes there until he was 14. Fellow Olympic swimmer Quah Zheng Wen and badminton star Ronald Susilo are also former students.